A picture of me earlier. Honest. Earlier we saw the sneaky peek of the all-electric i300 scooter from British brand Zapp. The company is offering options including some cool paint jobs, additional batteries, GPS tracking, a dash cam and different wheels. With air quality in cities worsening and our roads becoming increasingly congested, the world needs new alternatives to urban transport. With its revolutionary design, thrilling performance, and clean power source, we believe the i300 is the urban mobility solution people have been looking for. 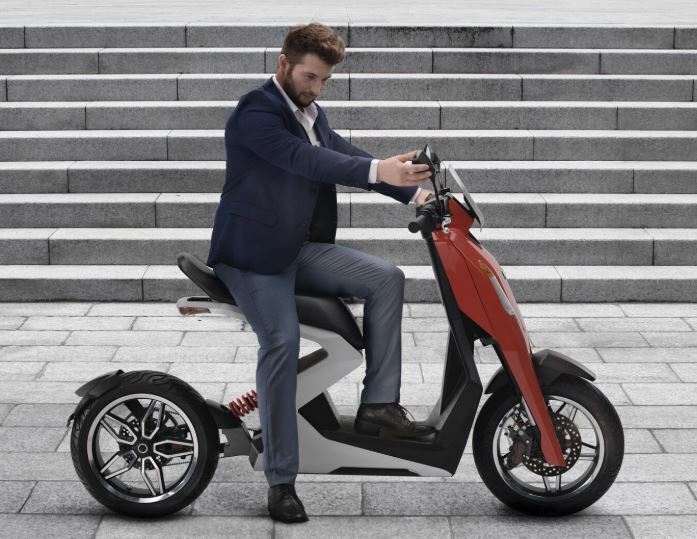 There are already electric scooters out there, so we only ever intended to bring something highly innovative and hugely desirable to the market. There is nothing like the Zapp i300, either from a design or functionality and practicality perspective. We are very proud of what we have created and think commuters will like it as well. You can go ahead and pre-order one of these right now at ZappScooter.com. 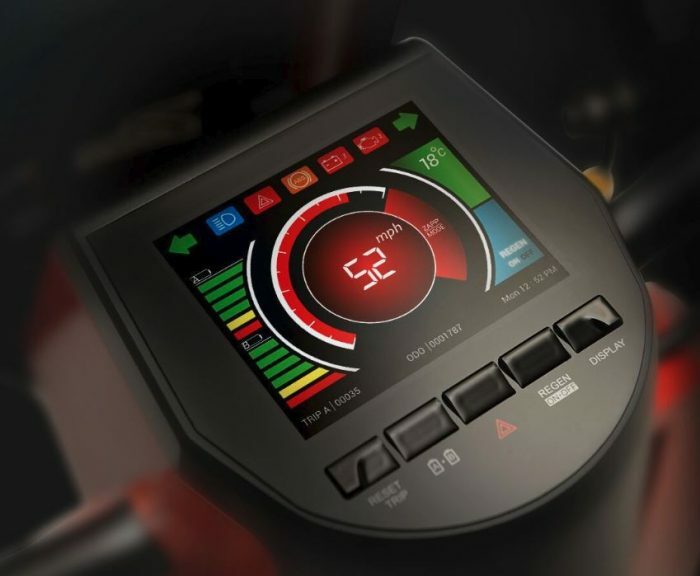 From what we can make out, you’ll need a full-on bike licence for this as it does more than 30mph and it has more than 11kW of power. I think…. The post Unveiled. 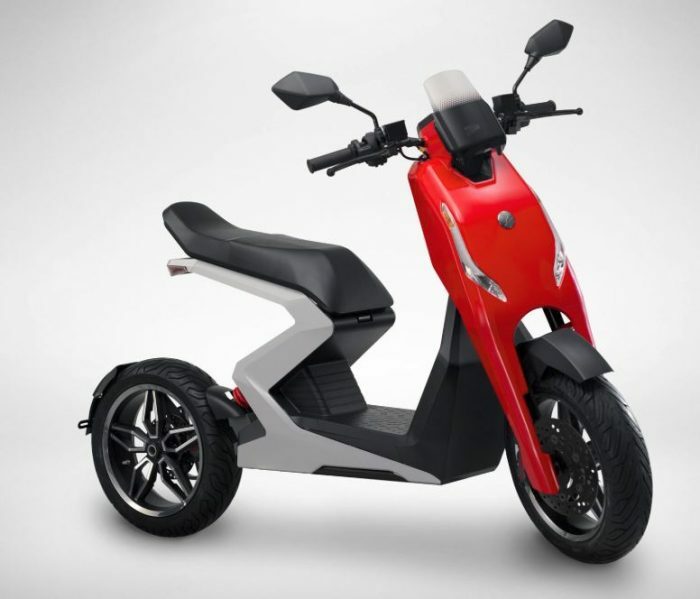 The Zap i300 fully electric scooter. is original content from Coolsmartphone. If you see it on another news website, please let us know. Blade Max 2s: This is the spiritual successor to the Max XL. It is powered by a 1.4 GHz processor with 2 GB of RAM and 32 GB of storage. It includes a 13-megapixel main camera and a 5-megapixel selfie camera. The Blade Max 2s works well on Sprint’s LTE 4G network. Both phones are available unlocked starting today. The Blade Max View costs $199 and the Blade Max 2s costs $179. They can be purchased from ZTE’s web site, as well as B&H and Newegg. Apple this week distributed iOS 12.1 and with it turned on the dual-SIM capability of the iPhone Xs, Xs Max, and Xr. Each of these newer iPhones includes a slot for physical SIM cards as well as an embedded eSIM. The eSIM can be used to change carriers at will. Despite the feature’s availability from Apple, U.S. carriers aren’t supporting it just yet. A check of Apple’s web site shows that AT&T, T-Mobile, and Verizon Wireless will add the capability “later this year.” AT&T says it is still working with Apple to add the feature, T-Mobile says it is still finalizing the software, and Verizon has confirmed that the eSIM causes coverage issues. Sprint has publicly said it will support the dual-SIM and eSIM functionality of the newer iPhones, but the company has not said when that might be. This all means U.S. consumers hoping to take advantage of the new iPhones’ dual-SIM capabilities will have to wait a bit longer. T-Mobile is still hyping its forthcoming TV service, though its plans don’t appear to be coming together as quickly as the company initially promised. During the company’s recent earnings call with press, T-Mobile’s Mike Sievert said when the TV service launches later this year, it won’t be mobile. Instead, T-Mobile will offer some sort of fixed, in-home TV service. The mobile TV offering won’t become a reality until next year. “We have our heads down creating the first TV service for the 5G era,” said Sievert. “The journey will start later this year. We’re very excited about that. And the second phase of the journey, next year, will be expanding into mobile. 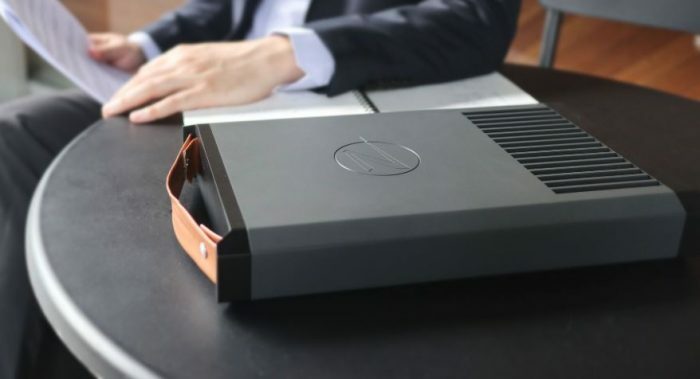 Because 5G is about mobility, not just fixed.” Sievert went on to say the offering will include hundreds of high definition channels without the need for a cable box. All this will be based on the technology it gained when it purchased Layer3 TV. Layer3 already offers TV service in four markets in the U.S., though it is a more traditional, in-home service offering. T-Mobile hasn’t said exactly when either TV service, in-home or mobile, will truly launch. The in-home service was initially expected to arrive in November. T-Mobile’s 5G network won’t get off the ground until some point during the first half of next year, so the mobile TV service will wait at least that long. Apple has pulled the watchOS 5.1 update after reports of bricked devices surfaced. The system upgrade for Apple’s smartwatch was initially released alongside iOS 12.1 on Tuesday. Shortly thereafter, users began to report that their watches were stuck on the loading screen. Apple later pulled the update. “Due to a small number of Apple Watch customers experiencing an issue while installing watchOS 5.1 today, we’ve pulled back the software update as a precaution,” said Apple in a statement. “Any customers impacted should contact AppleCare, but no action is required if the update installed successfully. We are working on a fix for an upcoming software update.” Apple didn’t indicate how many devices were impacted, nor how long it will be before the revised update is available. WatchOS 5.1 adds new emoji, Group FaceTime audio, and new watch faces. Getting a new smartphone to enjoy is a big thing for many people. This is, after all, the device you plan to use every day for the next 2 years. It will be a big part of your life, from calls to taking those beautiful photos. Just as important is getting the phone protected from those pesky scratches that build up over time, both on the back and on the screen. 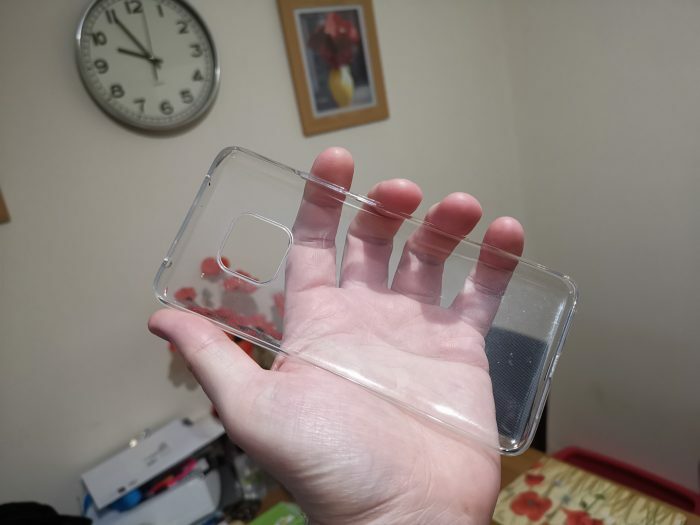 Our friends at Mobile Fun heard that we’d got hands on a Huawei Mate 20 Pro and sent some cases over to try and give our thoughts on. A big thanks to them for sending over, the links to buy are below.. 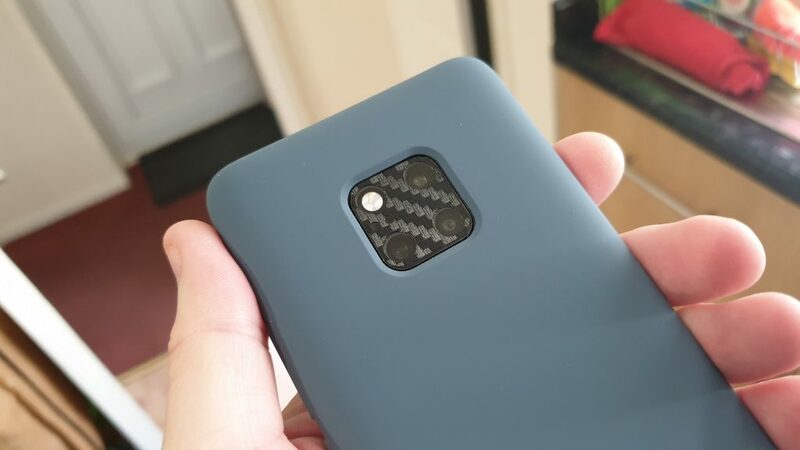 This is the official silicone case made by Huawei and comes in both Blue and Black, I was sent the Blue version. This is a lovely dark pastel shade and looked better than just a plain Black. 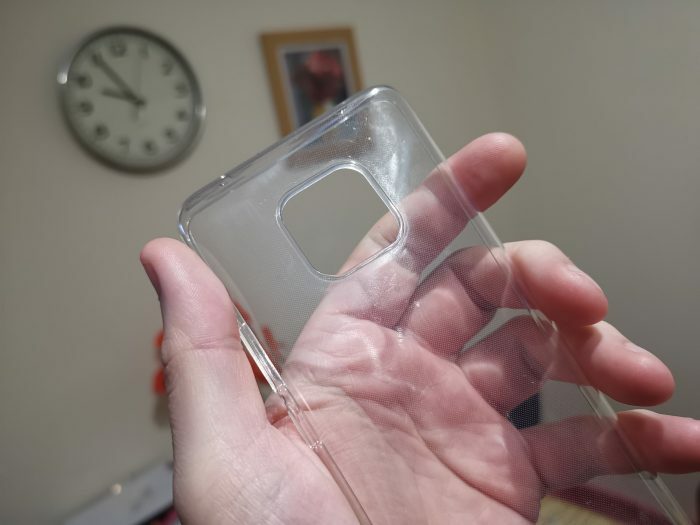 Protection was very good, the silicone design meant the phone was not slippery, and allowed me to put the worry about dropping the phone to rest. The design has a large cutout at the bottom for plugging in your cable to charger. You can also use your headset if needed. It does leave a little bit too much unprotected if you are concerned over little marks on the bottom, but was the best case from the bunch to use otherwise. The buttons have a raised area so you can still feel where they are even with the case on, and the phone was very secure when in the case. Overall a great case to have if you like that silicone design and feel in the hand. I liked this one and would recommend buying. Cases are becoming more than just something to protect your phone. 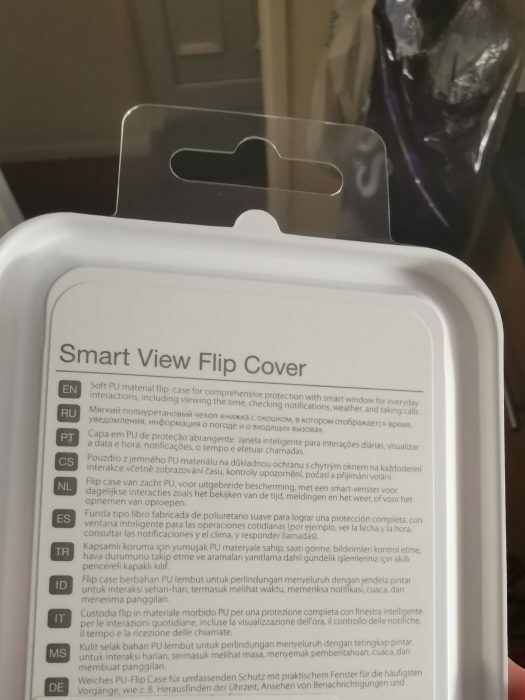 Indeed, this new Smart View case protects not only the back, but the screen as well thanks to its flip-over front cover. It has a window at the side that helps if you get notification after notification by letting you see what they are and acting without needing to flip open the case. This allows you to even take voice calls due to the earpiece cutout up at the top, so you don’t even need to open the case. Having this doesn’t come cheap. 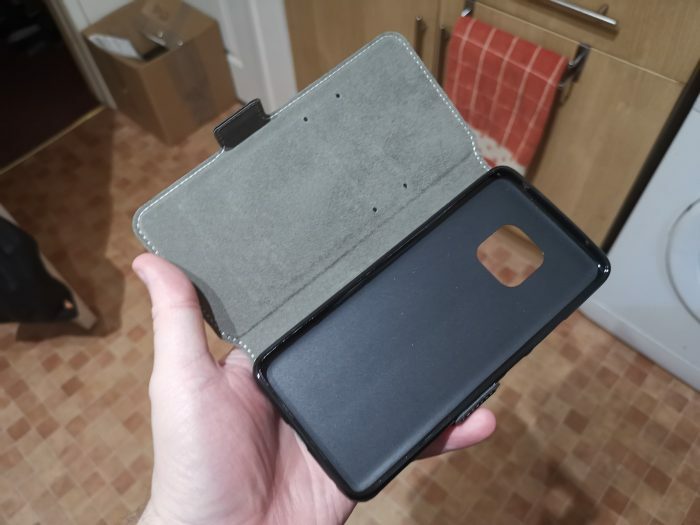 The case costs £34.99 and, which is quite a bit for a case, but it does a great job at protecting both the back and the front from damage. There’s also that added bonus of the display window. If you like flip cases, this is ideal for you and, considering your phone is worth near £900, a good case investment is wise. This case is the most simple and is also the most affordable at just £7.99 plus delivery. With Huawei not providing a basic case in the box, if you want a basic one, this is a great product to buy. It won’t provide drop protection should your phone fall on the floor, but what it does do is protect from scratches on the sides and on the frame, and if paired with a decent screen protector you will have full device coverage. If all you want is to stop scratching and want to show off the design, especially that beautiful Twilight colour, then this is a great case and very affordable. Getting scratches on your screen is never a nice thing, once they are there you cannot get rid, so a good screen protector is essential, especially as you no longer get one installed out of the box. 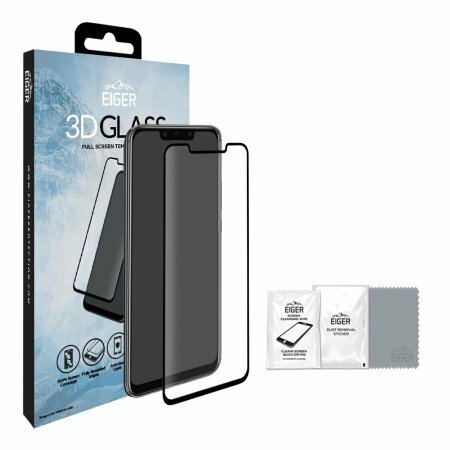 This one by Eiger has the sticky part running all the way around the frame, in theory allowing it to stick fully to the phone. I did notice that whilst it did s good job of protecting the screen, the curved screen design was a bit tricky for the edges to stick down, this resulted in a clicking noise if you press down on the sides which was a shame. The good news is the in screen fingerprint reader worked fine with this glass covering it. You may need to scan your print again with the protector installed just to make sure but it does work. If you want a glass screen protector for your phone that covers all the display, this is a good choice, it was just a shame at the sides not fully sticking down. This wallet-style case will protect both front and back of the device, and not cost you a fortune either. 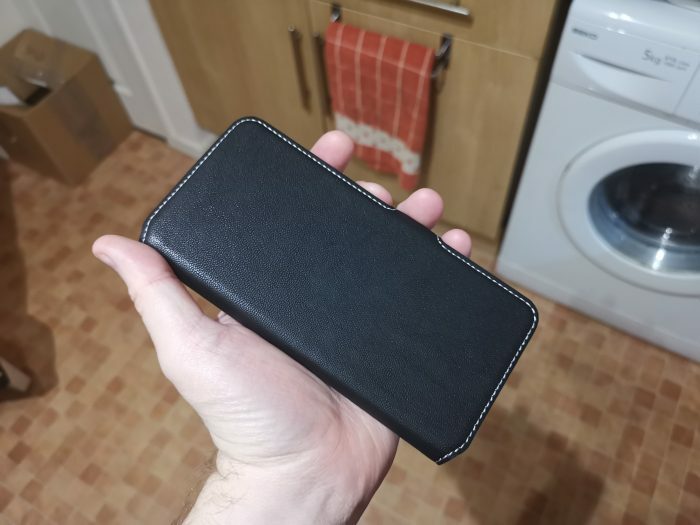 Costing just £12.99, this leather case does a great job at keeping your phone clean from scratches and looks nice too. It also doubles up as a phone stand so if you want to watch any video content, this lets you watch by putting on a desk so you don’t need to hold on to the phone. If you like flip style cases this is a great choice, especially for the price! 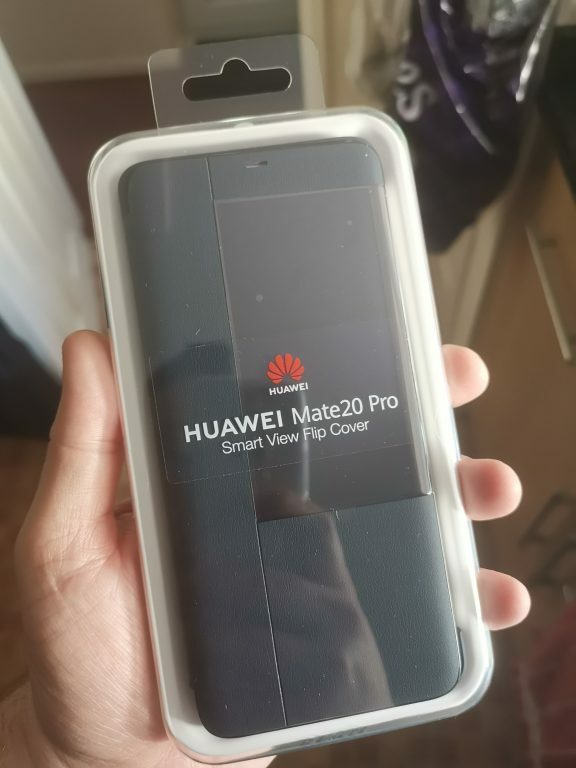 The post Mate 20 Pro – Cases Review is original content from Coolsmartphone. If you see it on another news website, please let us know. Was it really a whole year since we covered the Monqi smartphone? Yes, yes it was. Back then it was exclusively available on Carphone Warehouse, but from November 14th you’ll be able to register interest in the newer version on www.tescomobile.com/monqi. This is actually the IMO S2 with the monqi system layered on top to keep everything child-friendly. It’s billed as the ideal first smartphone and will go on sale with Tesco Mobile on November 26th, exclusive to the network. 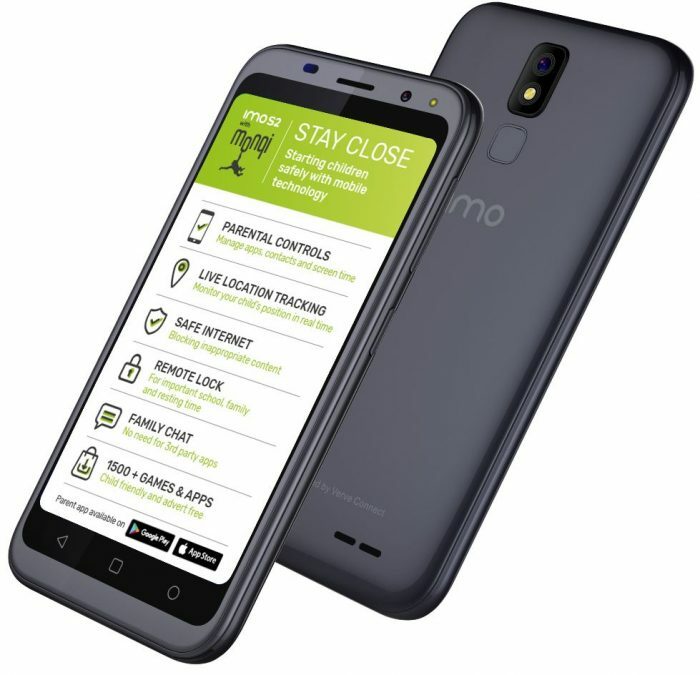 The monqi operating system gives both peace of mind and adds safety measures so that you can block calls, texts, data and app-usage remotely or manually. You can also activate or deactivate certain aspects of the phone based on the location. You can buy it on pay as you go for just £99 and pay monthly for £12 a month. 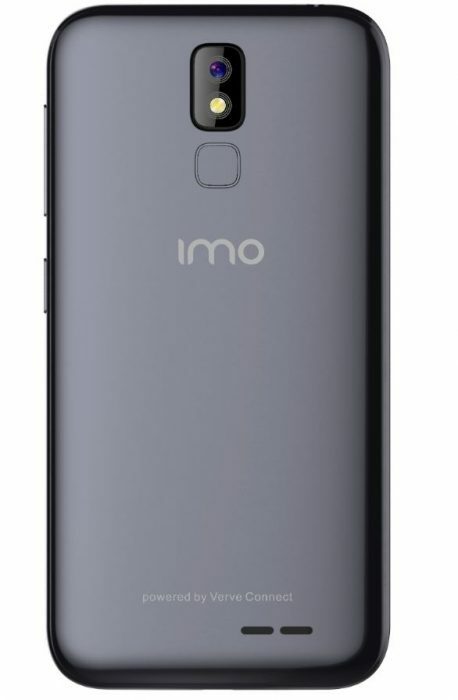 The IMO S2 has a 5″ 720p HD display, a 1.25GHz quad-core chipset, 2GB RAM, 16GB storage and a microSD slot. Camera-wise you’re getting a 13 megapixel real shooter and a 5 megapixel selfie cam. It’s powered by a 2,600mAh battery. 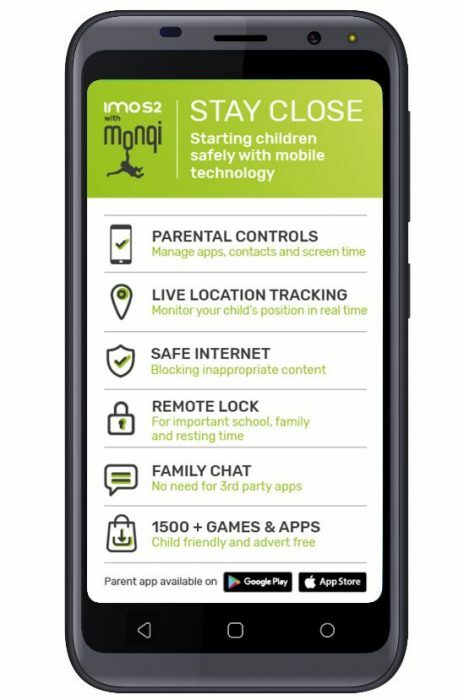 The clever monqi system will help you block unsuitable content and will track where your child is, setup a geo-fence and what they’re doing on the phone – giving you the power to protect them. Everything is controlled from a parental Android or iOS app – you can manage, control and observe screen-time too. Find out more about the monqi system on their website or register your interest in the phone on November 14th at www.tescomobile.com/monqi. The post Tesco launch the Monqi is original content from Coolsmartphone. If you see it on another news website, please let us know. Apple today pushed out a significant update to the Shortcuts app, which lets iOS device owners make more connections between Siri and actions. For example, new shortcuts let people ask for the current weather or the weather forecast, easily set alarms and timers, convert between a variety of units and measurements, as well as view the most recent batch of imported photos. Apple says running shortcuts from HomePod via Siri will now automatically play back from the HomePod using AirPlay, rather than nearby iOS devices. Shortcuts 2.1 also includes bug fixes. The app is free to download from the iTunes App Store. Verizon Wireless will not support Apple’s dual-SIM technology at first due to a software bug that degrades service. The new Apple iPhones (Xs, Xs Max, Xr) support dual-SIM functionality thanks to one physical SIM and one eSIM. The way dual-SIM phones typically work is to designate a primary SIM for voice, text, and data, with a secondary SIM handling voice and messaging through a second subscription. Many dual-SIM phones allow you to switch which SIM is designated as the primary/secondary at will. With the new iPhones, a third option exists that uses the primary SIM for iMessage and FaceTime, and the secondary for data. AT&T and T-Mobile’s systems are able to handle SIM switching without issue. According to PCMag, when a Verizon physical SIM is designated as the secondary account, it drops to 2G CDMA data, which is slow, not widely available, and doesn’t support MMS. Verizon confirmed the issue to PCMag and said it is working on a fix. “Wireless customers will be able to activate Verizon service eSIMs as soon as we’re confident you’ll be able to have the great, high-quality service you expect from us on both your primary and secondary line. If you are a Verizon customer and you activate another carrier’s service on your iPhone’s eSIM, your Verizon service will be degraded due to the current software configuration. We believe these concerns will be resolved quickly and you should be able to add our great Verizon service on your secondary line before the end of the year.” Verizon said that until the secondary SIM supports all its LTE-based services, it won’t activate service on any eSIM for now. Apple is activating the dual-SIM feature on its new iPhones today via iOS 12.1. The Nokia 7.1, announced by HMD Global earlier this month, is now available for purchase from select online retailers. Pre-orders have been ongoing since early October, but the device is now shipping from Amazon, Best Buy, and B&H Photo Video. The Nokia 7.1 is a premium mid-range phone that adopts the all-screen design approach with notch. It has a 5.84-inch PureDisplay that includes full HD+ resolution in a 19:9 screen that supports HDR10. The 7.1 has a 6000 series aluminum frame. The phone is powered by a Snapdragon 636 processor with 4 GB of RAM and 64 GB of storage. A 12-megapixel main camera at f/1.8 and a 5-megapixel depth-sensing camera at f/2.4 rely on Zeiss Optics. Together, they can capture portrait/bokeh images. The 8-megapixel selfie camera has its own AI-assisted features to help with facial recognition for masks, stickers, and more. The 7.1 can live stream video from the front and rear cameras at the same time to Facebook and Instagram. Other features include a rear-mounted fingerprint reader, Cat 6 LTE with dual SIM support, Bluetooth 5.0 with aptX, GPS, and WiFi. The phone includes an embedded 3,060mAh battery that supports rapid charging. The 7.1 charges via USB-C and offers a 3.5mm headphone jack. The device runs the Android One version of Android 8 Oreo, which means it is near stock and will receive three years worth of monthly security upgrades and two years worth of OS upgrades. The Nokia 7.1 costs $349.